You will need some papers and documents to transfer the property in your name. Ensure that you keep them ready. These include some photographs, passport, a copy of the residence visa, Emirates ID, etc. While these can be done later, it is better to have them handy rather than run around to get the documents in place after the property is finalized. If you are buying a home by availing a mortgage, then try to get a pre-approval from the bank for the loan. This process can take up to 2 weeks and hence you must initiate it as soon as you decide to buy property in Dubai. Every bank has different rules and documentation requirements based on a wide range of factors. It is also important to remember that getting your loan pre-approved will attract some fees and the pre-approval comes with an expiry date which is usually 1.5-2 months. Typically, you will need your passport, Emirates ID, Bank statement (6 months), Visa, salary slip (if employed), business documents (if self-employed), credit card statements (6 months), etc. On submitting these documents along with the application form and applicable fees, the bank will start the process of pre-approving your loan. Once approved, you will receive a letter which outlines the broad terms of the mortgage. However, you will only come to know the final T&Cs after purchasing the property. Once you finalize the property, you will be required to sign an MOU with the seller. The Dubai Land Department’s (DLD’s) website allows you to download the format of the MOU. It is a standard format and you can add an addendum to it in case you or the seller wants to include additional clauses or terms. Once the MOU is signed, then both the buyer (you) and the seller need to go to the Registration Trustee Office to register it. Be sure that you want to buy the property before signing the MOU as it represents your final intent of purchasing the home. However, the MOU does not represent the actual purchase. The buyer will also have to deposit a security cheque for ten percent of the sale value of the property. This amount is returned after you complete the property transfer process. The seller can cash the cheque only if the buyer doesn’t buy the property. Subsequently, the Registration trustee forwards the details to Dubai Land Department (DLD). The DLD provides clearance within a couple of hours. This process also involves some fees. Next, you can approach the bank to get the final offer letter. This letter will have the final terms of the loan offered by the bank. The loan applicant can turn down the loan if he finds the terms unacceptable and applies to another bank. After the MOU has been registered, you need to get a No Objection Certificate(NOC) from the developer which confirms that all dues are cleared. Every developer has a different process and turn-around time. This usually takes up to five days. While the seller usually gets the NOC done, some developers might also require the buyer to hand over the security cheque which covers one year’s maintenance fees. Also, this process involves NOC-issuance fees. Once you accept the final offer from the bank, you inform the seller. The seller’s bank then creates a liability letter within 3-5 working days. The buyer’s bank then clears the liability. The final payment is made by the buyer (you) and all fees including the title deed issuance fees need to be paid. Post this, a transfer is booked at the Registration Trustee Office and the title deed is issued in your name. 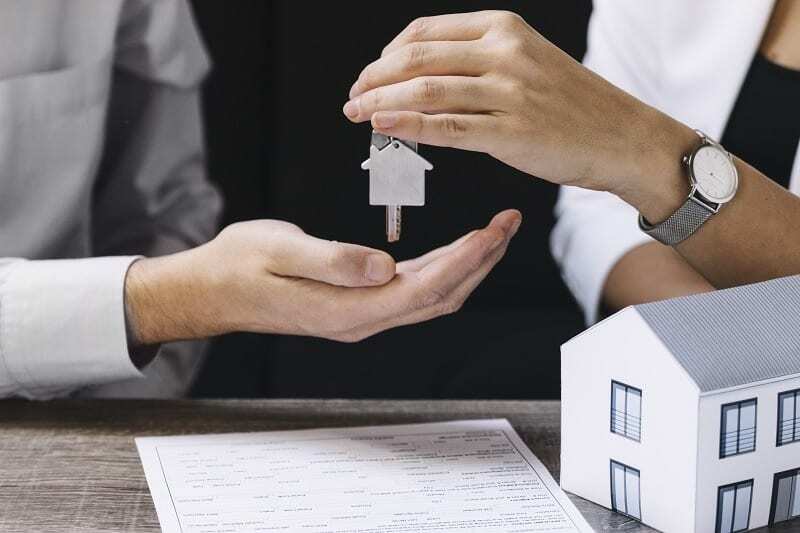 As we mentioned earlier, this entire process can be different depending on if you want to purchase the property on cash or if the seller has an existing mortgage on the house, etc. Hence, it is prudent to avail the services of a conveyancing company who can guide you through the process. Also, if you are purchasing an off-plan property, the developer takes care of most of the processes and you have to make a payment into an Escrow account with the Dubai Land Department. Remember, buying a home is a beautiful experience. Ensure that you understand the process completely before you start looking for a house so that you face lesser hurdles along the way. Good Luck!